Paavai Educational Institutions National Service Scheme and Government Hospital, Rasipuram jointly organized the Blood Donation Camp on 09.11.18 on the college premises. Dr.B.Sridevi, Blood Bank Officer, Government Hospital, Rasipuram, addressed the students to be aware of blood donation and explained the benefits of blood donation that one single donation can be split into three separate parts, helping save or improve the lives of patients and just three teaspoons of blood can save the life of a premature baby and If you donate blood, you can help in saving lives of many patients. 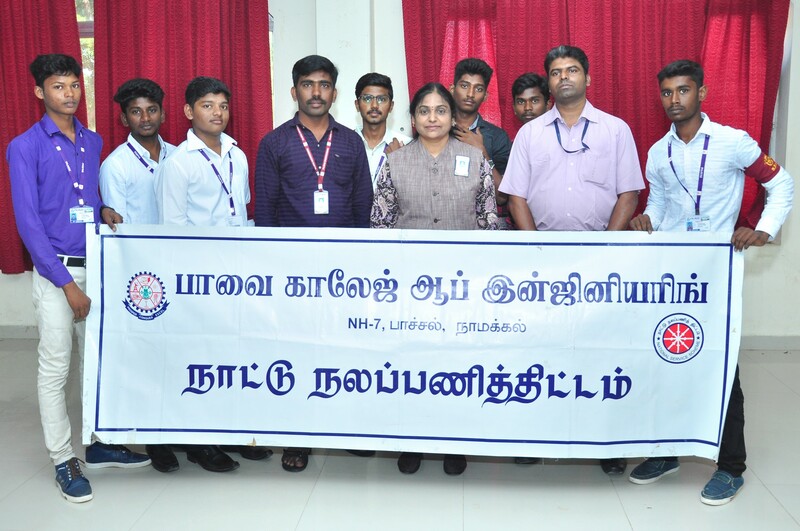 In this camp, Dr.Devi, Principal, Paavai College Engineering, Dr.T.Esther Rajathi, ICTC Counsellor, Primary Health Centre, Belukuruchi, Mr.Rufes, HDFC Bank Manager, Namakkal, Health Inspectors, Mr.C.Rathnakumar, NSS Programme Officer, Paavai Engineering college and Mr.J.Saravanan, NSS Programme Officer, Paavai College of Engineering college were present and encouraged the students to donate blood. The students of Paavai Institutions eagerly participated in this camp and donated blood. Totally, more than 63 students donated blood.